You may know him as an actor, author, or even a former football player. Move over Tyra Banks theres a new host in town! Terry Crews sparks hope that he is taking over as the official America’s Got Talent host. Honestly, is there anything Terry Crews can’t do? Anytime he hits the scene its all laughs from there. Whether Terry is cracking jokes in a movie or showing off his fabulous dance moves, there is never a shortage of smiles when he’s around. Similarly to fellow host Tyra Banks, Crews is a superstar that brings so much to the show. Rumors have been swirling that America’s Top Model, Banks, is walking away from the AGT franchise. We’re not going to lie, Tyra left some pretty big shoes to fill. How does Terry feel about potentially taking on the role? The actor told Parade, “First of all, I was super intimidated because she is a superstar. You can’t replace her,” speaking of host Tyra Banks. “Everyone has their own personality, but I do have to say that my personality, being big, boisterous, and fun, and people love me, is perfect for this.” We couldn’t agree more! Crews may be getting a behind the scenes co-host this season. Similarly to Terry, Rebecca King-Crews loves all things AGT. King-Crews loves to give her hubby tips. Saying things like, “You were really chatty on stage. You need to cut it short. No one wants to see you that long. Get to the acts.” Dang Rebecca tell him how you really feel! Rebecca’s best advice? “Love you or hate you, just make sure they don’t forget you.” Rebecca and Terry are dropping gems this Wednesday and I am definitely taking notes! Crews’ favorite AGT acts include singer Courtney Hadwin and ladder guru Uzeyer Novruzov. 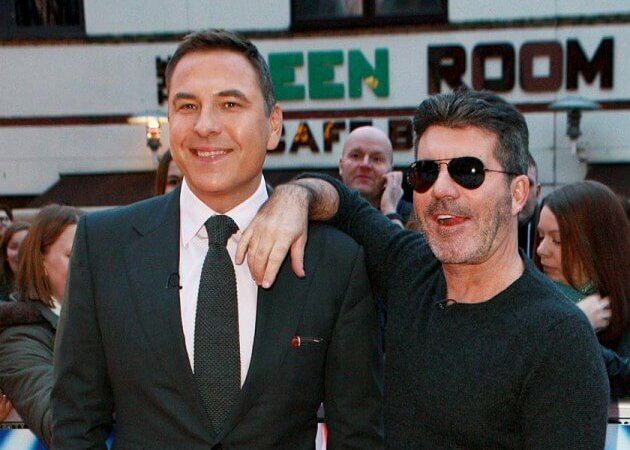 In the same way that we love Terry, apparently so does Simon Cowell. The music mogul gushed that Crews was his number one pick. UM DUH! In fact, Simon said, “Terry, I chose you because I love what you do.” Crews was officially hashtag geeked after hearing the music moguls kind words. Terry even told our TalentRecap host Jackelyn Schultz that he blacked out when he heard about his new position. Check out the interview below. Are you rooting for Terry? 'The Masked Singer' Week 3 Recap: The Deer is Unmasked!